Leo Brice is dead, in a sense (not the traditional one). When the neurotic law student meets his cosmic match in Fiona Haeberle, an impulsive spirit and burgeoning soap star, all seems well--the two fall fast in love, and spend three years navigating their twenties in wide-eyed wonder. But once the fantastical woman who had defined his future bolts to pursue a fantasy life of her own, Leo is forced to come to terms with a reality that more closely resembles an epilogue than the story he'd hoped it might be. Now a junior death row advocate, Leo immerses himself in the esoteric world of his condemned client, a born-again Georgia inmate named Michael Tiegs. As both men become consumed by the question of an afterlife--and as Leo becomes increasingly confused by his own future and past--Tiegs' fate hangs in the balance. Leaning on his friends and grappling with his memories, Leo must try to save a client who may not want to be saved after all, even as he struggles to confront the prospect of his own mortality. DAN CLUCHEY is a native of Portland, Maine, and a former Obama Administration speechwriter and advisor. During his time in Washington, he wrote hundreds of speeches and op-eds on behalf of senior leaders throughout the Administration, on topics ranging from healthcare reform to international trade. A graduate of Amherst College and Harvard Law School, he lives in New Haven, CT. 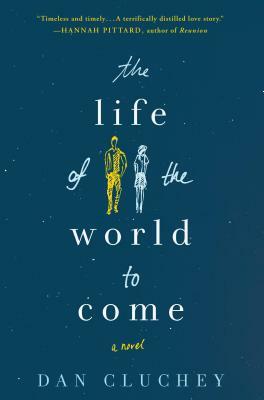 The Life of the World to Come is his first novel.